The Mattioli family has been in the tiny hamlet the Roman's once called Collecapretta (hill of the goats) since the 1100's. For generations the Mattioli have been cultivating the rugged hillsides of southern most Umbria. Located just outside of Spoleto, in the near-impossible-to-find borgo called Terzo la Pieve, today's farm is a scant 8 hectares in total; 2 planted to a mixture of local olives trees, 2 ha of farro and other ancient grains and ~ 4 ha of indigenous old vines. Vittorio Mattioli, his wife Anna and their daughter Annalisa live together with 3 generations of their family inside the tiny village overlooking the valley below with the high Apennine Mountains and Gran Sasso looming in the background. The elevation is some 500+ meters and the soils are a mixture of calcium and iron rich clay with outcroppings of tufo and travertine limestone. 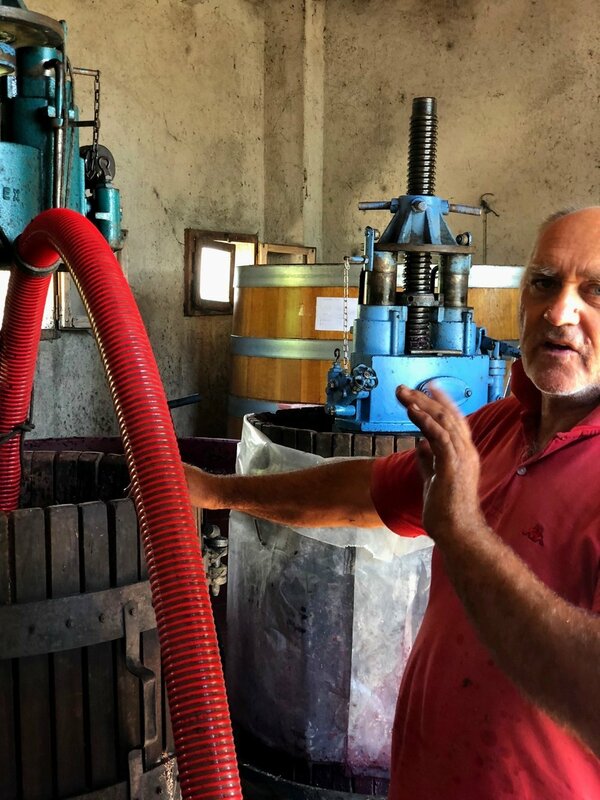 Though the total production of Collecapretta is only some 8000 bottles in a good year, the family chooses to vinify many different cuvee's in hopes of expressing the vineyard and grape varieties at their best. All the wines are made in much the same fashion: natural fermentation takes place in open-top cement containers without temperature control or sulfur additions. 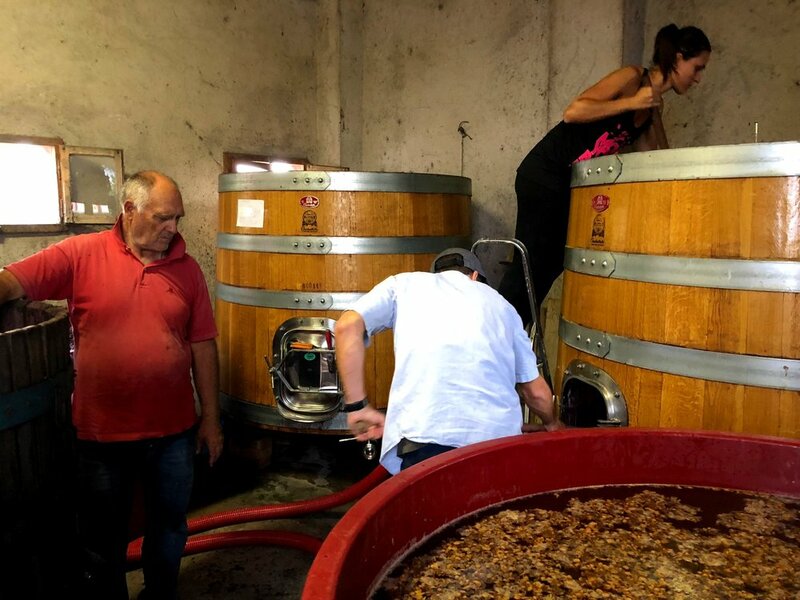 The wines then age for various amounts of time in glass-lined cement vats or resin tank before bottling in synchrony with the waning lunar cycle. There is no sulfur used at any point in the winemaking process. All farming in the vineyards is completely natural, only composts made from their own animals are used to aid vine health. I am humbled to be working with this gracious family of true vignaioli in the heart of Umbria. Production is minuscule and the local demand and private, very guarded clients of Collecapretta easily over-fill the supply for these. We are honored to be the first to import the wines of Collecapretta beyond a 100km radius of the winery. 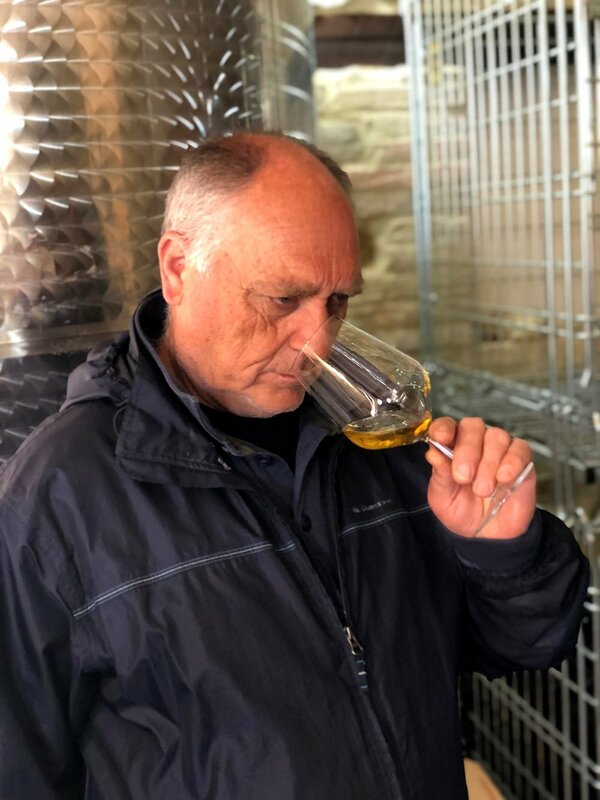 Needless to say, small quantities are generally avaiable but don't miss out on your chance to get your first taste of these remarkably pure wines. 100% Trebbiano Spoletino, Direct Press. 100% Trebbiano Spoletino with 10 days skin contact. 100% Ciliegiolo with 10 days skin contact. Later-harvest Sangiovese, Merlot & Ciliegiolo. 100% Sagrantino from a single row of vines. Extremely limited.